On this particular day, we decided to head to Playa Guiones. The sun felt like it had been high in the sky for hours as it poked through the slats of the wooden shutters at 8:30 a.m. Outside, the chitter and chirp of birds filtered in with the sunlight, letting us know morning had descended. We swung our legs out of the bed and pattered down the cool tiled staircase. Before settling into a bowl of yogurt and muesli, I assaulted the front door, my bare feet slapping the tiles. Costa Rica gives a cheery good morning in technicolor sight and sound. Breakfast tucked in, my book and I settled into the porch hammock, lazily swinging as my foot kicked off the sturdy wooden column. Soon, Nathan joined me on the porch, in a neighboring rocking chair with a cup of coffee and his book. Then came Tia Berta, Mama, Michael. The first few days we stayed close to our house, venturing out to find the local internet cafe run by an Italian expat and his grandmother. Playa Pelada with its rock shelves to the west and gentle waves was a short walk from the house. We had found body-surfing to be our new beck and call, even as our skin went from sun-kissed to sun-sore. Out we would walk onto the graveled path, turning left and walking by a row of bright pink hibiscus bushes in bloom. On the left ran the large family farm with wild chickens and turkeys running the grounds, inside of the makeshift fence of barbed wire and cacti. Sometimes we’d find a black buzzard or two sitting atop the large communal garbage tins near the mouth to the beach, perched to dip down into the refuge. It was on this same path, we caught a sight of monkeys hurtling from branch to branch, deep in the treetop. That day, we had stopped to watch them scratch and call, their long tails wrapping around branches as leverage. Through the mouth to the top of the beach, the roar of the surf invited us in. The sight was too beautiful for words, one of those heart-achingly beautiful examples of color and creation. Michael , a few days prior, had begun exploring the tide pools and proudly dangled a large slug on his forefinger as part of his findings, later to be replaced by a stick with an inky blue slug flecked with turquoise and goldenrod. Here, we surrendered to those childlike tendencies to discover and be fascinated by the natural world. Here, we turned off the regular world and became appraiser and appreciators of all that we encountered. And this day, we decided to go to Playa Guiones. Just on the other side of our part of the island, this beach was known for its surfing, for its waves and the teeming humanity. Off we set with beach bag on shoulder, floppy hat on head tracing our way along Playa Pelada, past a popular tica soda and then past the more posh La Luna restaurant. We walked in the wet sand watching the black buzzards in the barren tree right before the secret passageway to Playa Guiones. It wasn’t really secret, but you sure had to look for the topsy-turvy rock steps cutting up the hill. Up we walked through a path in the middle of a field with flowering plants and tall grass. We continued walking until we caught sight of the surf through the low branches of the trees clinging to the sandy earth. Days later, this would be my eye-foraging ground trying to capture on film the scuttling sand crabs with little success. In the distance, we could see pinpoints of color, the peopled places to which we began walking. All of us commented how much busier this beach was in contrast to Playa Pelada. We set up camp inside a hut made of wooden planks and thatched roof of palm branches- a refuge for those not wanting anymore sun. Michael and I ventured out into the water with Tia Berta and found the water temperature at first startling, but soon comfortably warm. We jumped as the waves rolled our way, letting them carry us out further. For the larger ones, we dove into the wave, often feeling the power of their pull only slightly. I had successfully overcome my little known kid fear of open water, of what might be lurking underneath, wooed instead by the fun, becoming a salty girl. The water, the people nearby also taking on the ocean surf contributed to my growing excitement of getting into the water, but part of it also included the conversations Michael and I had, that Tia Berta and I had. In the water, we spent hours talking and hopping up, letting the water wash us with round upon round of its own slobbery kiss as the sun shone down on us in assent. At some point, our hunger became more than our need to stay in the water, so out of the ocean we walked, each step dripping into wet sand, then dry hot sand and into the soft brushiness of terry cloth. Hat back on head, tunic covering up, we began our trek into the town off of the playa. We agreed that this part of the island was much more touristy as we began passing a stand of handmade wooden baubles an American expat put out to sell. The streets sprang up with dust anytime a car would careeen by on those uneven streets. We passed the Harmony Hotel, later a vegan cafe, a yoga clothing store, an ice cream stand. We found ourselves in a bustling expat haven. Up the road we walked toward a restaurant Tia Berta had heard about from an Argentine woman named Lucretia of the inky blue slug discovery the day before. Many times in life, you’re headed one place and end up some place you didn’t expect. This was certainly one of those days. The sun at this time felt scorching in temperature and brightness. As our stomachs rumbled, the sticky clothing and my burned skin singed as a reminder to get out of the sun. Up ahead we saw a giant lodge to the right that boasted of its mixed drinks and to the left, we saw a small casual restaurant, Rosi’s Tica Soda with a friendly and somewhat Cambodian feel of a carved wooden roof. Our curiosity piqued, we headed toward Rosi’s to check out their menu. This open-air restaurant was small and populated with table upon table of plates of food that inspired our hunger to speak its approval in low rumbles. We sipped cool drinks and ordered our food from a woman wearing a smock and knowing smile as she listened to us ask our questions and point out our selections. On the menu, I found something called a “gallo” which means rooster in Spanish, but which she described as tortilla with your choice of filling, lettuce, tomato and special sauce. She had sold me. When my gallo came out, it resembled a taco with more of a party inside. Two corn tortillas are required to hold the contents, and actually make it easier to hold than a taco with its typical dripping. In the Mission district in San Francisco, most taquerias serve tacos with two tortillas stacked on top of each other, small in size but juices dripping every which way, leaving fingers sauced. How ingenius to stack the tortillas slightly askew! I ordered the Gallo con Carne con Salsa and a Gallo con Pollo. I shared one of the Gallos with Nathan and found myself sufficiently full. But not too full to take in a dip of homemade Chili Chocolate ice cream for the long walk back home. Playa Guiones did not disappoint and would call us back for more soon enough. 1. 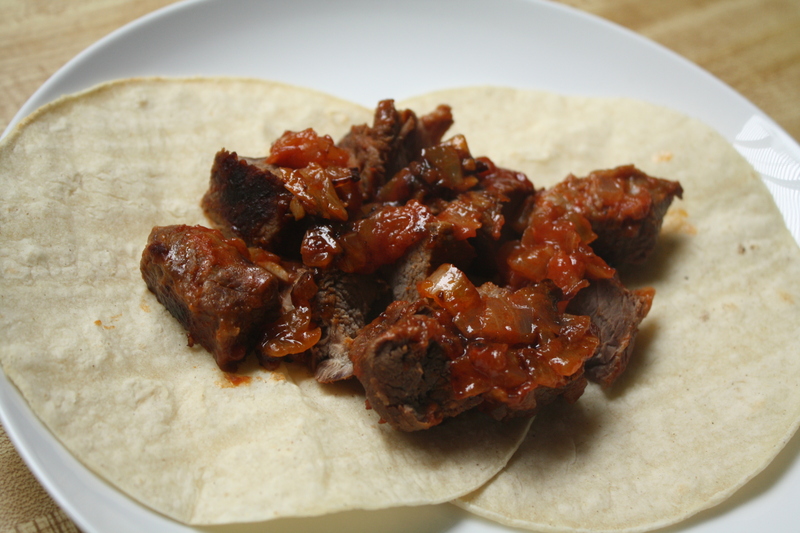 Prepare the carne con salsa according to the recipe. Omit the potatoes when making your gallos. You can enjoy them on the side or at another meal. 2. 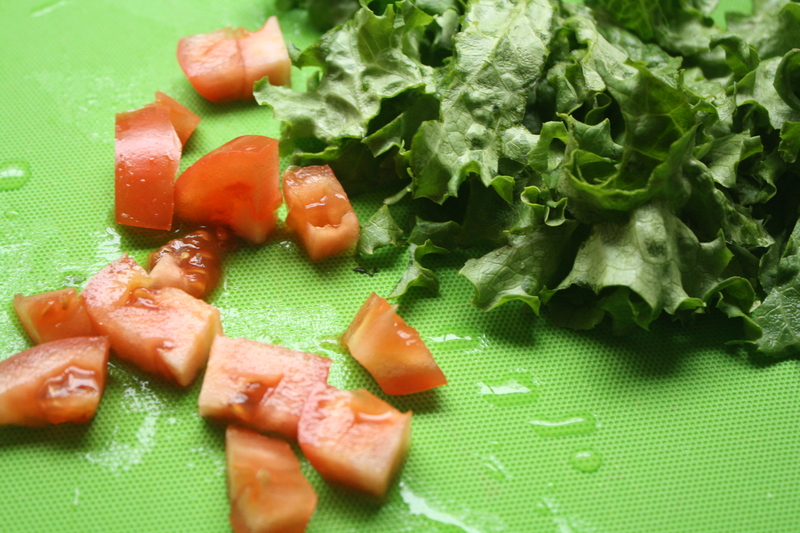 Chop your lettuce into short strips and chop up your tomatoes. 3. Gather your tortillas and begin warming them right before the Gallos are ready, keeping them covered by a folded napkin to keep warm. The trick to warming tortillas are several. Here are several I use with ease. a.) Microwave- if you have a microwave, get two paper towels and sprinkle them with a bit of water. Do not drench the paper towel with water, but you do want to make sure it is somewhat wet. Place your tortilla inside so the slightly wet paper towels are covering both sides. Heat for 30 seconds and you’ll have a pliable, steamed tortilla. b.) Toaster Oven- ours has a toast feature that I turn onto medium toast, since we don’t have a microwave. c.) Range top- you can always put your tortilla on a pan over medium to low flames. Make sure you’re staying attentive as the tortilla will start to smoke a little bit when it’s time to turn it over. d.) Mama has a nifty grate especially for heating tortillas. 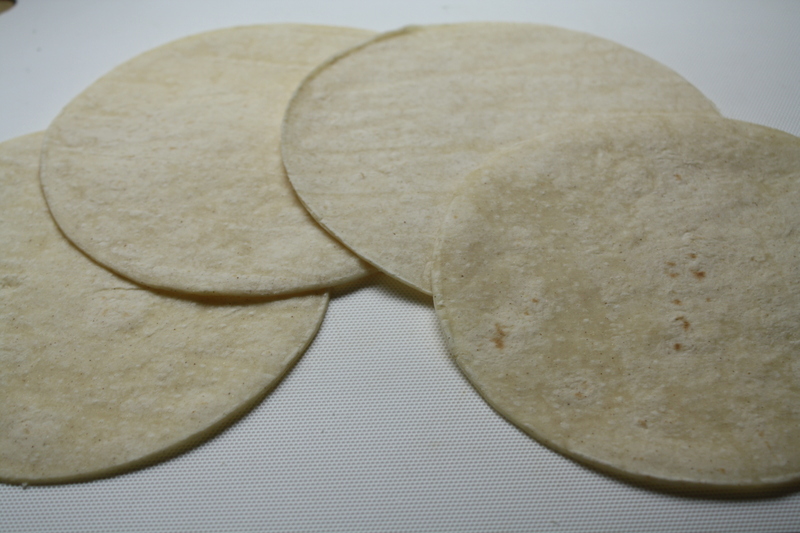 The slits in it allow different parts of the tortilla to crisp. A little bit of steam or bubbling in the tortilla let you know it’s time to flip it to the other side and do likewise. 4. 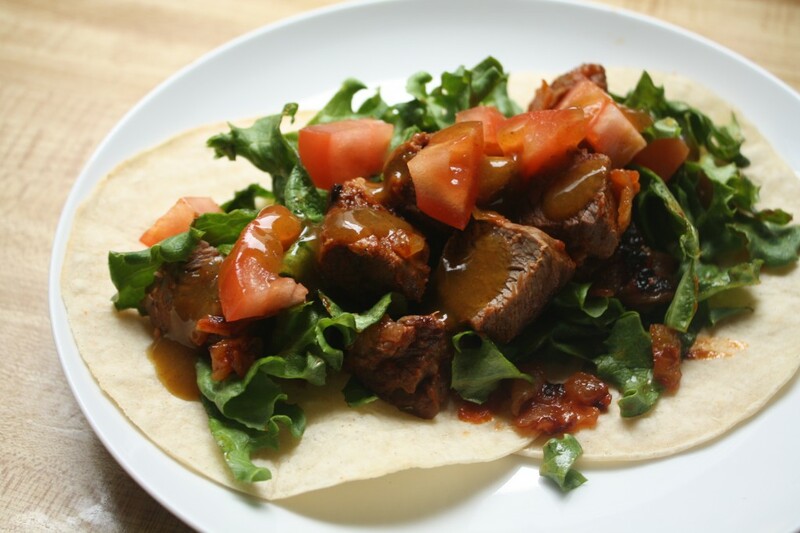 After the tortillas have been warmed, place the tortillas slightly on top of each other on a plate and then add either 1/4 cup lettuce strips down first or 1/4 cup of meat down. 5. 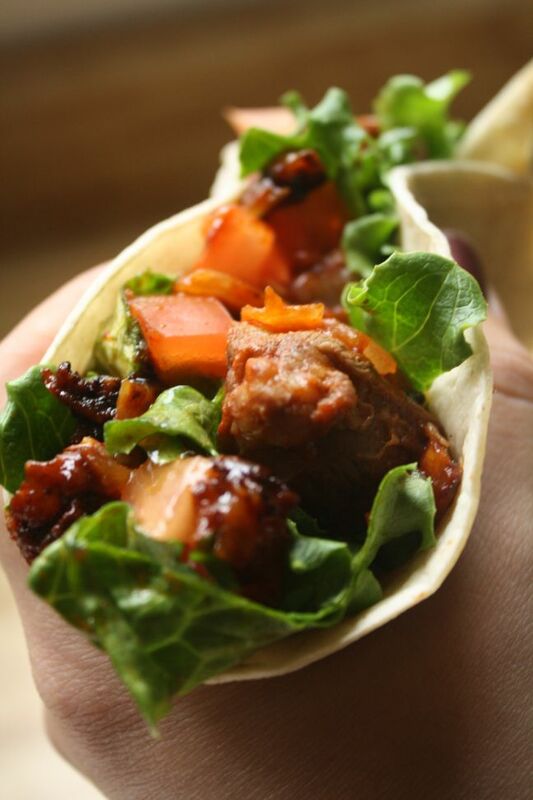 If you spooned on the meat first, then go ahead and add the lettuce and tomatoes. Don’t forget to drizzle salsa Lizano or salsa Alfaro on the gallos (or you can serve at the table). You are such a beautiful, talented writer. I love how expressive you are about the day, the way you eat, etc. Thanks for sharing. And also, that first photo is incredible!